Bangkok (Thailand) – November 5, 2018 (travelindex) – Best Western Hotels and Resorts has appointed David Calvet as the General Manager of Tawaravadee Resort, BW Signature Collection by Best Western, its impressive new up-country retreat in Thailand’s Prachinburi province. A highly-experienced hotelier with extensive knowledge of Thailand’s hospitality industry, David has worked for a series of international hotels in Bangkok and Phuket over the last 20 years. Most recently, he was General Manager of ibis Styles Bangkok Sukhumvit 50. Previously, David held senior management roles with a series of well-known hotel brands, including Novotel and Sheraton. 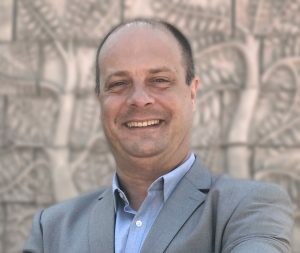 He also spent more than three years as Directeur Général of École d’Hôtellerie et de Tourisme Paul Dubrule, an international hospitality school located in Siem Reap, Cambodia. He will now be tasked with overseeing the successful operations of Tawaravadee Resort, which becomes Best Western’s first BW Signature Collection by Best Western property in Asia. Nestled in the stunning Thai countryside, approximately 160 km from Bangkok, this expansive low-rise resort is suitable for every occasion, from romantic leisure breaks to major corporate functions. “David Calvet is a talented hotel professional with a wealth of experience. Having lived and worked in Thailand for almost two decades, he is also completely familiar with the unique characteristics of this market and instinctively able to motivate his teams. I can think of no better person to lead our first BW Signature Collection by Best Western hotel in Asia,” commented Olivier Berrivin, Best Western Hotels & Resorts’ Managing Director of International Operations – Asia. “I am honored and delighted to have been named as General Manager of this exceptional resort. Located less than two hours’ drive from Bangkok and with an extensive range of facilities, including large conference spaces, Tawaravadee Resort is perfect for any occasion. I look forward to working with the entire team at Best Western to make this hotel a huge success and create incredible experiences for every guest,” said David.